BSNL has rolled out four new monthly broadband plans that start at a price of Rs 99 and offer 20 Mbps data speed. Data benefits range from 45GB to 600GB. State-owned Bharat Sanchar Nigam Limited (BSNL) has rolled out four new monthly broadband plans that start at a price of Rs 99 and offer 20 Mbps data speed. According to a report in Telecom Talk, data benefits range from 45GB to 600GB. 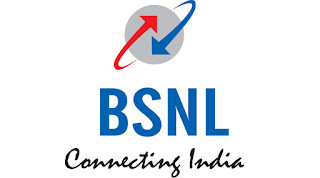 The non-FTTH plans are available for new BSNL customers, who will also have to pay a security deposit of Rs 500 in addition to the plan tariff. The broadband packs have been introduced as a part of the company’s promotional offer to gain customers and will be valid on a pan-India basis, except for Andaman & Nicobar telecom circle. BSNL plans called BBG Combo ULD also come with a daily data limit. Post-exhaustion of FUP (Fair Usage Policy) limit, the download speed will be reduced to 1 Mbps and normal speed will only restore at 12 AM in the midnight. The 45GB BBG Combo ULD plan is priced at Rs 99 and it offers 1.5GB data per day or a total of 45GB data. BSNL’s BBG Combo ULD 150GB plan will give users 150GB data in all at 5GB per day. The plan is priced at Rs 199. BSNL BBG Combo ULD 300GB plan costs Rs 299 and offers data up to 10GB per day (a total of 300GB). Finally, the BBG Combo ULD 600GB plan gives users 20GB daily data and is priced at Rs 399. The broadband offers come bundled with unlimited voice calling benefits to any network across the country. Do note that BSNL BBG Combo ULD broadband packs will be valid for 90 days from the date of introduction. Those who avail the offer will also be eligible for one free email ID and 1GB storage space. People who choose to buy one of one of BSNL’s BBG Combo ULD broadband pack will have to migrate to the company’s another broadband plan after six months. Fiber. It had doubted the FUP data for three of its FTTH plans. It refreshed three fiber broadbands plans worth Rs. 1045, Rs. 1395 and Rs. 1895to offer more data up to 200GB. Earlier this month, BSNL has also extended its Free Sunday Calls offer for landline and broadband users. They also announced a Family Plan that offers a broadband connection of up to 10Mbps speed and on top of it, a user can group three BSNL prepaid connections to get 1GB of data per day for the validity period. Recharge Your Prepaid Orange Mobile by Using Online Recharge Software, Recharge & Pay you Bill with #1 all in one recharge software.